Zucchini and tuna are a match made in heaven, just like rhubarb and strawberry. First one undeniably dry and salty, and latter bursting with water and bland. Combine both, flavour with freshly grated Parmesan cheese and a bit of mayo (those few tablespoons make all the difference, and I prefer... I make a very similar recipe, but I grate the courgette on a clean tea towel and gently squeeze the excess liquid out. I generally cut the feta into small chunks, and I always use brown rice flour instead of regular flour to ensure the fritters are crispy. Delicious. 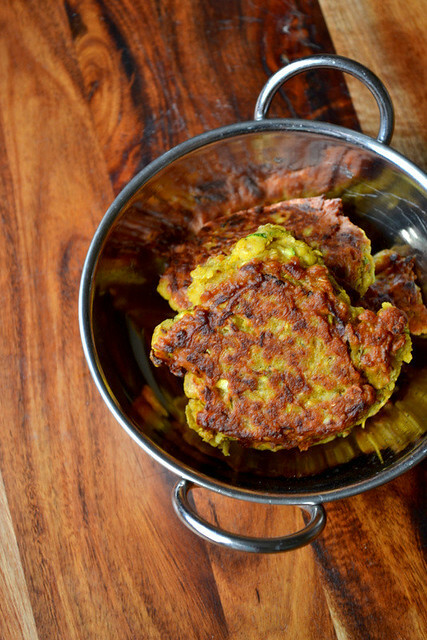 Make these corn and courgette fritters while corn is fresh and seasonal. Finish with a generous handful of coriander.